A high quality, consistent power supply is a important part of any reprap build. Using the experience of reprap community, we have carefully chosen this power supply to provide you a reliable source of power for your own reprap project. Now you will not have to go through the complex mechanism of connecting your electronics to a 12V PC SMPS. 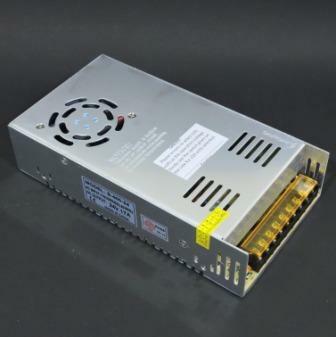 This 24V Power Supply provide a lot of juice to heat your extruder and heated bed faster. It is suitable for reprap 3d printers like MendelMax 2.0 etc which have larger heated beds. It also helps in quieter running of your stepper motors. Caution : Please select the correct input voltage from the slider before plugging in the PSU. Incorrect selection may damage the PSU.